The Commonwealth Shared Scholarship Scheme is a joint initiative between the UK Department for International Development (DFID) and UK universities, including the University of Edinburgh, to jointly support scholarships for students from developing Commonwealth countries who would not otherwise be able to study in the United Kingdom. The School of Social and Political Science at the University of Edinburgh has three Commonwealth Shared Scholarships to offer for the 2011-2012 academic year. Awards will normally be for one year. Awards cannot be extended or renewed. At the end of the award, candidates are required to return to their home country. Candidates must certify that they: (i) Are from a Commonwealth developing country, not at present employed by a government department (either national or local) or a parastatal organisation and not at present living or studying in a developed country; (ii) Have not undertaken studies lasting one year or more in a developed country; (iii) Are themselves, or through their families, unable to pay to study in the United Kingdom; (iv) Agree to return to their own country to work or study as soon as the award ends. DFID requires that the University certify when submitting its shortlist of candidates that they are sufficiently proficient in the English language to cope with the programme of study for which they have applied. This will normally mean that you will have to have satisfied any requirements concerning competence in the English language which are a condition of your offer of admission. The award is financed jointly by the University of Edinburgh and DFID. The award will cover: (i) All tuition fees; (ii) Air fare to and from the United Kingdom; (iii) Expenses for accommodation and maintenance. Payments for the academic year 2010-2011 were set at £844 per month, plus an arrival allowance of £820 for the programme of study. Details of the 2011-2012 level will be available in 2011. The scholarships are financed by the University of Edinburgh. To be considered for a Commonwealth Shared Scholarship at the University of Edinburgh, you must be selected and nominated by the School of Social and Political Science. Candidates, who hold an unconditional offer of admission at the University of Edinburgh, should complete an online scholarship application. More details on the Commonwealth Shared Scholarship Scheme is available on the Commonwealth Scholarships Commission website. 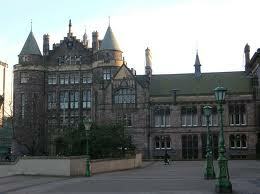 Demikianlah informasi tentang Commonwealth Shared Scholarship Scheme, University of Edinburgh, UK, semoga bermanfaat.